At this website you can upload a bunch of pictures from your computer, social media sites or Google and you can put them into a slideshow in the order of you choice. Then you can add different effects to some of your pictures. You can change which way they are rotated too. The you can either auto create it or you can design it all on your own! This is the name of the website. This is the page you will see when you first get to the website. 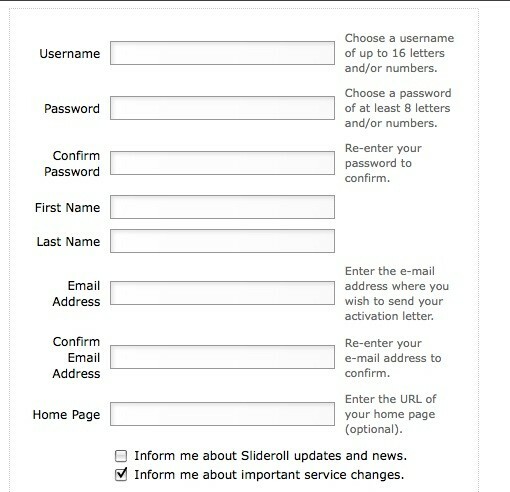 This is the sign up page. You WILL need to create an account for this website. 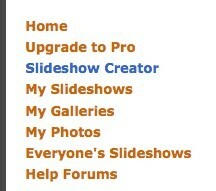 If you auto create it the site will create your slideshow using the pictures you have chosen for it to use. You can't do anything to it besides what the computer wants. If you design it on your own, which is what I did you can choose how you want the layout of your slideshow and how you want your pictures to be seen. You can choose which design you want and a lot more. For a quick easy slideshow I would go with the auto create, but for anything else I would go with designing it on your own. These are the options of what you can do once you create an account. Slideshow Creator is what you will go to. This is what the page looks like at Slideshow Creator. This is where you make your slideshow. This is the Auto Create button to let the computer do your slideshow for you. 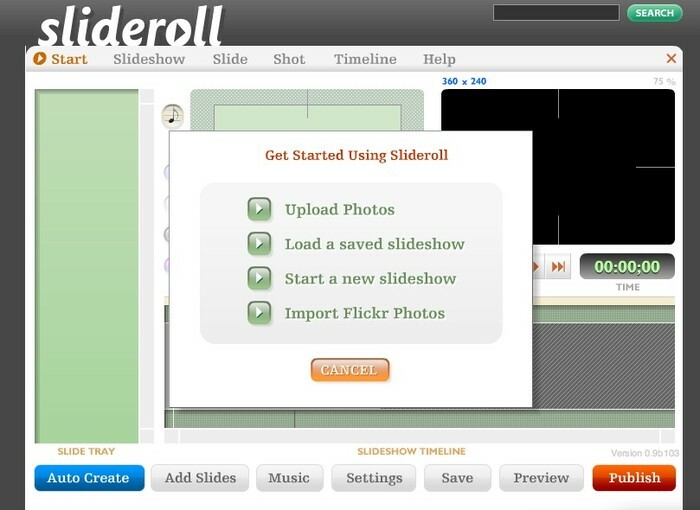 Slideshow at Slideroll - Flash Slideshow Creator, Photo Slideshows for Facebook, MySpace, YouTube, and Everywhere! 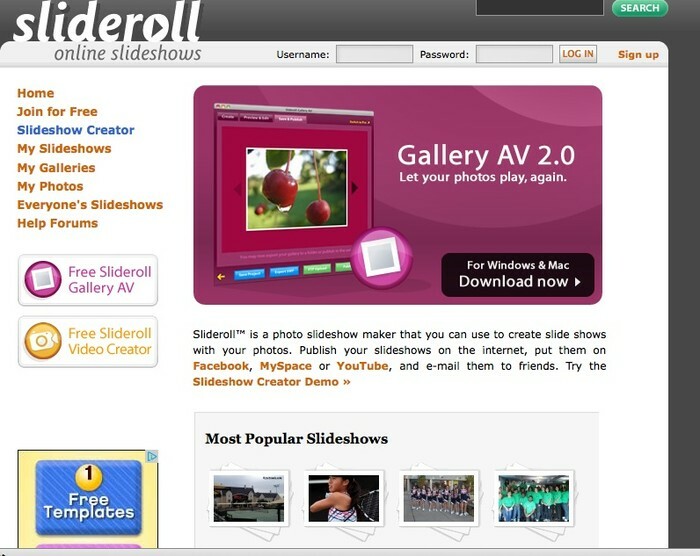 Slideroll is an online slideshow creator. Upload your photos and create moving slideshows that you can publish to the net and email to friends.